When attempting to obtain your initial credit right after receiving your bankruptcy discharge, it is important to understand the difference between secured and unsecured debt. 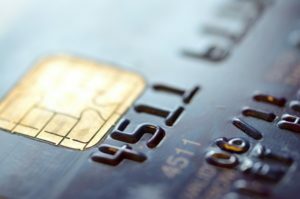 Secured Credit Cards: The accountholder provides the lending institution with funds equaling the amount of “credit” offered. The funds are held in reserve as “security” on the account. Watch out for outrageous, up-front fees and verify that they report to the major credit unions. The best secured credit cards are those who will eventually be willing to offer unsecured credit. Some will do so after 12-24 months of on time payments. Unsecured Cards: No deposit is required for access to a line of credit. Obtain the highest credit limit available, but try to avoid upfront fees. Verify that it will be reported to the three major credit reporting agencies. It’s good practice to request a credit increase every 12 months as increasing your credit limit is one of the fastest and easiest ways to improve your credit score. If you have more questions about how to manage after bankruptcy or how to restore your credit after bankruptcy we hope you get in touch with one of the experienced southern California bankruptcy attorneys at Westgate Law.